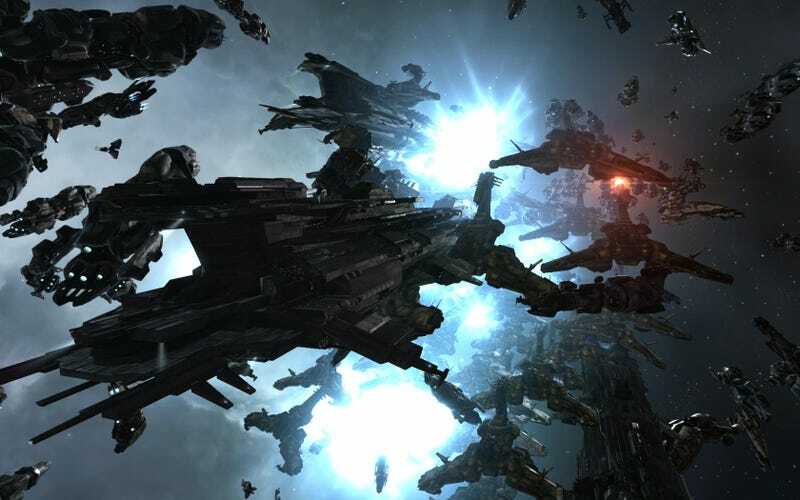 EVE Online has been running for over 15 years, but it’s never too late to join in on the fun. You can jump right into things from your very first day, whether you want to be a peaceful space explorer, a loyal soldier, or just a straight-up scammer. Some players have been navigating the stars of New Eden since launch, amassing untold amounts of wealth and experience since the simulated universe began. From the outsider’s perspective, it sometimes appears that players like this in EVE or in any other MMORPG have such a massive, insurmountable advantage that new players can never catch up. While it is true that, in general, a player that has played a game longer has more opportunity to gain wealth and easier access to powerful ships, weapons, and equipment, this does not mean that it is too late for a new player to join the game, and fight for their place at the table. EVE career chart was created by Altrue from eve-guides.fr. Character experience is handled differently in EVE than in most MMOs. Skill points slowly accumulate over time, regardless of whether or not you are logged in and playing. This process can feel slow and painful when first starting—the game feels locked behind a timegate. It does not have to be, though. EVE has such a wide variety of activities available to players that even newbies can find their niche with a little bit of guidance. One of of the most easily accessible “career paths” in EVE Online is that of the Explorer. Within minutes of first logging into the game, players can have all of the skills required to fly exploration-focused frigates. These ships can equipped with probe launchers, hacking modules, and data analyzers, allowing them to specialize in traveling far and wide through the EVE universe, attempting to uncover its mysteries. The ships’ probes enable a player to scan for lost relics, hidden covert bases, and wormholes leading to mysterious parts of the galaxy. These sites, once decrypted and analyzed with help of the ship’s computer, contain various items, ship components, blueprints for industry, and rare skillbooks. These treasures can be sold on the open market, or used in EVE’s complex crafting system for a chance at greater rewards. As players advance along the exploration career, ships become more advanced and suited to the task at hand. Over the first few weeks, players can begin to equip cloaking systems, enabling them to venture into riskier parts of space for greater rewards, while maintaining some level of safety. Autonomous drone-based weapon systems can be unlocked to provide defense against pirates, NPCs, or other players seeking to destroy and pillage unsuspecting explorers. The endgame for exploration-focused players often sees them finding their way into EVE’s mysterious wormhole systems. These areas often have different system-wide effects, changing the way ships function. They also do not have any local surveillance systems, making it impossible to tell if you are alone, or being hunted. If the life of an explorer sounds like a lonely one, new players can join player corporations of like-minded individuals. The Signal Cartel corporation exists as a peaceful group of explorers. Their mission statement is to peacefully coexist with other players, lending aid when possible. On the other end of that spectrum is the Wingspan Delivery Services corporation, whose goal is to covertly deliver ammunition to wayward travelers. This ammunition is typically delivered free of charge, at a high rates of speed, and fully armed and operational. Recipient’s safety is NOT guaranteed. Exploration and mystery is not typically what first draws a new player’s attention to EVE, though. People hear about the massive fleet fights that involve hundreds of people and cause thousands of real dollars’ worth of damage. This type of fight does not happen every day, though. Months can go by before the massive player run empires decide to commit to these shows of force. Smaller-scale PvP combat can happen at any time, though—even on your first day of playing EVE. A player who is looking for a fight in their first few days of EVE doesn’t have to look too far. Large areas of the Low Security regions of the galaxy are dedicated to a constantly shifting war between the NPC factions. These Faction Warfare zones allow players to enlist in militia forces serving one of the four empires, deputizing the player to wage war in their name. Defeating enemy players and capturing zones of control belonging to enemy factions earn pilots reputation with their chosen militia, as well as cold hard cash. Fighting on behalf of the NPC empires is not the only way to find PvP action early on in an EVE career, though. All of the large nullsec alliances have corporations focused on engaging with new players, integrating them into the game, and ensuring that they are able to experience EVE to the fullest. Goonswarm Federation, Brave Newbies, Pandemic Horde, TEST Alliance, and the other powers that be have different recruitment methods, and different play styles, but a new player can find their way into any of them inside of their first week. After joining one of these groups, your new allies will be more than happy to help guide you into battle, and make sure you understand what’s going on when you get there. Some players are drawn to EVE for less scrupulous reasons than others. EVE prides itself on being an open sandbox, with few rules imposed on the player base concerning theft, scams, and subterfuge. With very few exceptions, players are allowed to use social engineering, in-game mechanics, and outright lies to separate other players from their hard-earned valuables. There is no in-game skill point restriction on communicating with other people, which means that if you want to start running scams, you can do so immediately after you first log in. Armed with nothing but a bit of will and ingenuity, a new player is able to travel to the game’s busy market hubs and try to defraud others out of their possessions. Some may find these activities distasteful, but EVE players are well-accustomed to it, and a large portion of the game’s population enjoys them—as long as they happen to other players, that is. But let’s say that while cheating a player out of the things that they own without firing a shot is not something you are able to stomach, you also don’t really want to earn your piece of the pie in a “fair fight.” New players are also quite capable of ganking other players inside the relative safety of High Security space. Highsec ganking in EVE is a relatively simple, on paper. The attacker finds a ship, usually a destroyer or battlecruiser-class vessel, which has a disproportionate amount of damage output for its size, and equips it to do the absolute maximum amount of damage it can do in the shortest amount of time. Once the ship is armed and ready, the would-be ganker waits in space, generally watching a high-traffic trade route. Once a juicy enough target wanders into their sights, the player opens fire with every ounce of damage they can put out, hoping that the target dies before the NPC Space Police show up to put them to a swift end. When destroyed, everything equipped or carried on a vessel has a 50 percent chance of being dropped as loot in the ship’s wreck. Ideally, for the thief anyway, the value of what drops from the victim is worth far and away more than the ship lost in the attempt. The ganker then can bring another ship in to scoop that loot up off the field, and sell it at the market for a profit. Exploration, PvP combat, scamming, and stealing are all ways for players to find their way through their early days in EVE Online. They are far from the only paths available to newly forged pilots, though. There are hundreds more options for players getting started to forge their own path. EVE is a complex game, and sometimes the path through it can be difficult and confusing, but it is never too late to get started.